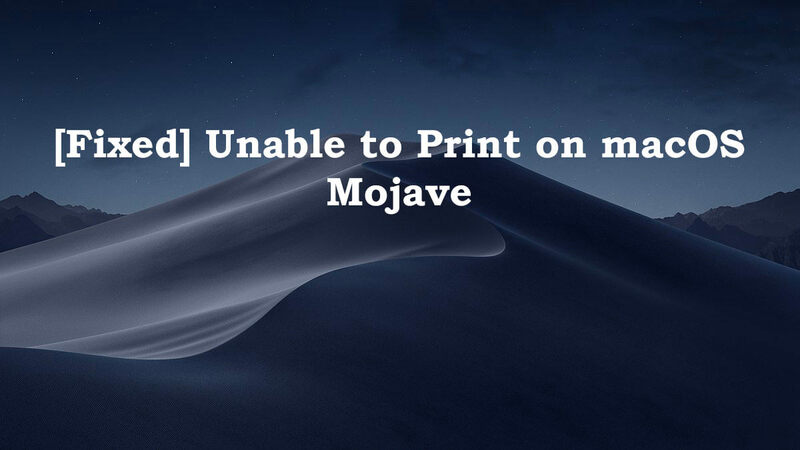 Overview: There are many users who are not able to make printout after installing macOS Mojave. Today in this post we will troubleshoot printout issue and will get the printer working on macOS Mojave. So, let’s start with real user’s practical scenarios! Twice in last months since Mojave has come out. all of my printers vanished, so I have to shut down & reboot my iMac. what gives is it a bug. PS none of my other machines have had this problem. Like above two users there are multiple Mojave users who are facing this issue, let’s go ahead and fix this. For AirPrint enabled printer please ensure that printer and mac both are connected to the same Wi-Fi network. A simple restart sometimes fixes the problem. Shut down your Mac and router. Wait for a few seconds and restart your router. One router is up and running restart your Mac. Make sure the printer, router, and Mac is not far from each other. Also, update router and printer with the latest driver. Go to Apple menu and select System Preferences and click on Software Update in order to check for updates. Click on Update Now to get the updates. You will also find More info option to know more about each update and you can select particular updates to install. Go to the App Store app. Click on Updates in the App Store toolbar and click on Update option to install the updates. Click on Printers and Scanners. Click on the name of your printer if you find your printer on the list and click on the minus sign to delete the printer. Now click on the plus sign and select Add to add Printer or Scanner and click on the name of your printer. Select the Use or Print using menu, select the name of your printer and click Add. Now try making a printout. In case your printer is connected to a Mac with a USB cable then please unplug the cable. Once the update is done plug the printer cable back to your Mac. Start your printer and wait until it completes the startup process. Go to the Apple menu, select System Preferences and then click on Printers & Scanners. Find your printer in the list. In case your printer does not show in the list then click on the plus + sign to add your printer. Select System Preferences and click on Printers & Scanners. Press and hold the Control key on your keyboard and click anywhere in the list of devices on the left side of the window. Click on Reset printing system when you see a prompt to reset printing system. Restart your Mac now and then add your printer again. 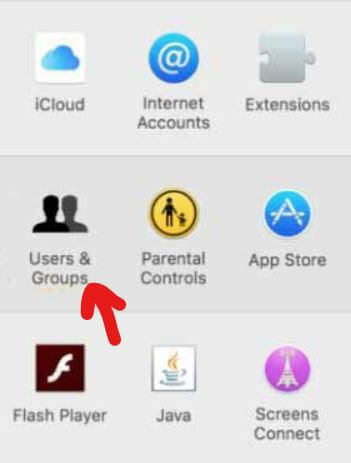 Go to the Apple menu, select System Preferences and then click on Users & Groups. 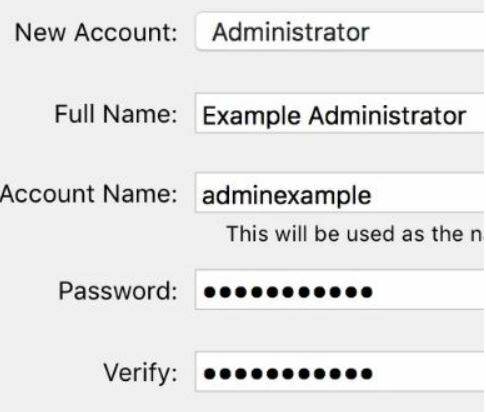 Click on the lock icon to unlock it, put your administrator name and password. Click the New Account pop-up menu and then choose a type of user i.e. Administrator or Standard user and put all the necessary details and Click on Create User. Now try taking out the printout, in case, printer works fine then old profile may have gone corrupt. Perform Clean Installation of macOS Mojave from USB flash drive. In case none of these steps works then performing a clean installation may help you to fix the printer issue. Please note that you will lose all your data on the Mac. If the issue still persists then contact the printer manufacturer to get further help. I hope this article helped you to fix the printer issue on macOS Mojave. If you like this post, please share it to help others. Keep visiting the website for more upcoming posts on Mac.